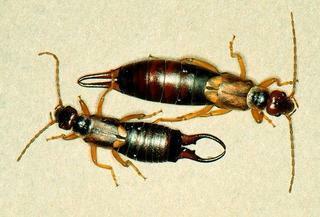 Earwigs make up the insect order Dermaptera, found throughout the Americas, Africa, Eurasia, Australia and New Zealand. With about 2,000 species in 12 families, they are one of the smaller insect orders. 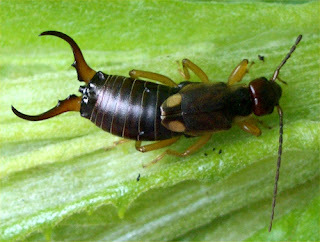 Earwigs have characteristic cerci, a pair of forceps pincers on their abdomen, and membranous wings folded underneath short forewings, hence the scientific order name, "skin wings." Some groups are tiny parasites on mammals and lack the typical pincers. 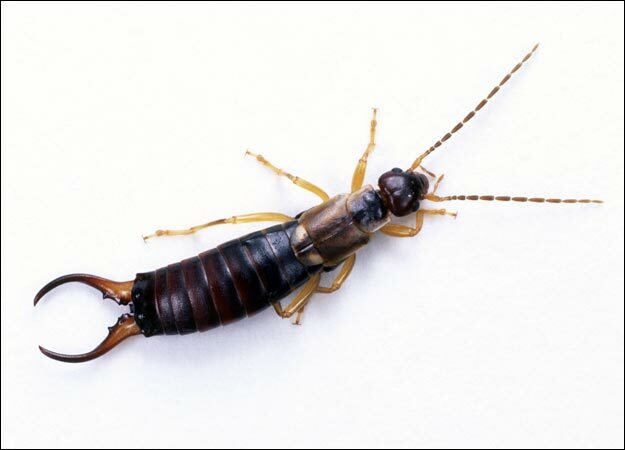 Earwigs rarely use their flying ability. Earwigs are nocturnal; they often hide in small, moist crevices during the day, and are active at night, feeding on a wide variety of insects and plants.